Harry Potter first popped into Joanne Rowling's head during a long, boring train trip. What if, she wondered, a child rode a train that took him away from the confines of the boring adult world, to a place where he had power, both literally and metaphorically? By the time the train arrived at Rowling's destination, she had outlined several books of Harry Potter's adventures. Rowling (which rhymes with bowling, not howling) was a writer long before she was a published author. As a first-grader, she says, she was working on a novel. As a teen, she's described herself as "shy, freckly, with no natural athletic ability, but a great love of literature". As an adult, she wrote two novels, both unsold, while working for Amnesty International, and later working as "the worst secretary ever, very disorganized". Her first marriage didn't last long, and left Rowling to raise her daughter alone. She worked intermittently and went on the dole when she couldn't find work, still scribbling Harry Potter's adventures in cafés. The Scottish Arts Council was impressed, and gave her a grant to finish the book, but even then, the finished manuscript was rejected by several publishers. Finally, in 1997, Rowling was offered the British equivalent of about $4,000 for Harry Potter and the Philosopher's Stone (retitled the Sorcerer's Stone for America). It was the publisher's idea to have her use a gender-neutral pen name, as they feared boys wouldn't read a book written by a woman, and it was Rowling's idea to add the 'K' -- she has no middle name -- in honor of her grandmother Kathleen. The Potter novels are among the most popular books of all time, with each title selling millions of copies. The first three Potter titles were once ranked 1-2-3 on the New York Times bestseller list, leading to the creation of a separate list for children's books. And despite all the praise and publicity, the Harry Potter books really are quite the delight, enjoyable for both children and adults. Rowling is fastidiously secretive about her personal life. She told reporters she wept after writing a character's death in Harry Potter and the Order of the Phoenix. She said she walked into the kitchen crying after penning the tragic scene, and when she told her husband what was wrong, he said, 'Well, don't do it then.'" But Rowling explained, "It just doesn't work like that". When you're writing children's books, says Rowling, "you need to be a ruthless killer". The movies based on the books were all huge hits. In 2001, as Warner Bros. was preparing the first Harry Potter film for release, the corporation's attorneys sent very lawyerly cease-and-desist letters to the operators of hundreds of Potter fans' websites, threatening to sue if the sites weren't taken down or the domains transferred to Warner Bros. Needless to say, this was not savvy marketing. The subsequent horrendous publicity and fans' threats to boycott the film led the studio to quietly apologize. In 2002, Rowling was sued by an American writer, Nancy Stouffer, who claimed that Potter had been stolen from Stouffer's The Legend of Rah and the Muggles, which featured a character named Larry Potter. An American court not only ruled against Stouffer, but said she had lied to the court and doctored evidence to support her claims. In 2003, Rowling successfully sued Dmitry Yemets, the author of Tanya Grotter and the Magic Double Bass, a Russian children's book, for lifting major plot elements from her Potter books. Yemets argued that his book was a parody, but the courts ruled for Rowling. 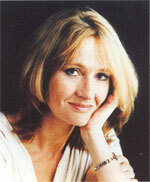 After finishing the Potter series, Rowling wrote The Casual Vacancy, a more "adult" novel which sold very well but received only lukewarm reviews. She then wrote a mystery novel, The Cuckoo's Calling under the pseudonym Robert Galbraith, which had the opposite reception -- it sold only a few thousand copies but garnered rave reviews as a "scintillating debut novel." Of course, as soon as Rowling was revealed as the novel's author, it became an immediate best-seller. Rowling is now wealthier than the Queen of England, and she is the first person to become a billionaire solely through writing. She is, however, no longer a billionaire, having given away much of her wealth to charity. She remarried in 2002, and lives with her family in an isolated mansion in Perthshire, where she still writes in local cafes.